Last stop on the March Hop! Welcome! 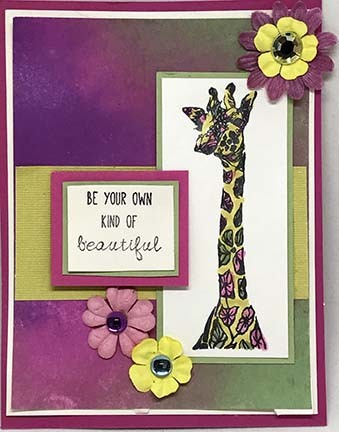 Today is March 1st and we are celebrating the release of 15 new stamps with a TJ Design Team Blog Hop. If this is your first stop on the hop, please a take a moment to go back to the Design Team blog and start the hop there. If you arrived here from Judy's blog, you are in the right spot. If you have followed along, I am sure that you are aware that the March New Release stamps are 15% off through March 8th. Once you are done here, it is YOUR turn to hop over to the TJ site and pick your favorites!Ready for just a little more inspiration? My first card uses the Big Bunny stamp. I love this bunny! So cute and so easy to color. 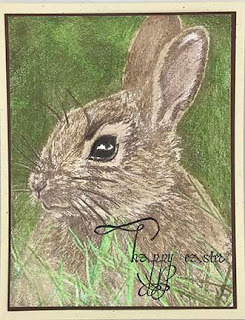 I paired it with the Happy Easter sentiment from the previously-releases Holiday Flourishes Set. I colored the Bunny with Colored Pencils. 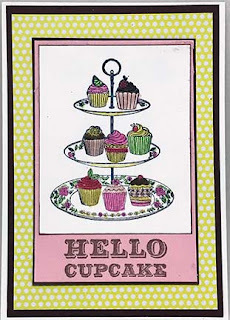 Hello Cupcake! 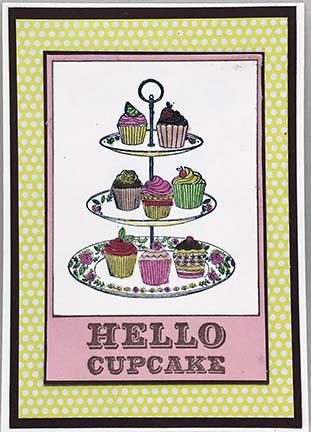 This is a set of 7 sweet stamps that you will just love. So pretty and so easy to color. The sentiments will have you licking the frosting off your lips! And finally --- Yes, it's a giraffe. I love giraffes, and the Watercolor Giraffe stamp that is the focal image here is no exception. This pretty lady was colored with markers, and layered over a background that I sprayed with Art Anthology Colorations Sprays (in Patience, Granny Smith, and Plush). The sentiment is from the previously-released Typewriter Set. I hope you were inspired by today's hop! Make sure you stop by www.techniquejunkies.com to get your discount on the new stamps!